Four former IBM employees have sued IBM, hiring a class-action law firm famous for winning big cases. 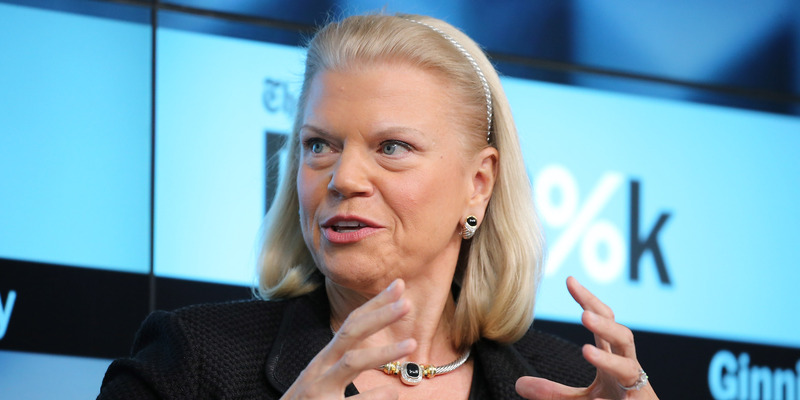 IBM says it isn’t worried about the lawsuit. But the employees’ lawyer tells Business Insider that this suit is different in that it is targeting IBM’s decision to not disclose the ages of the people it lays off and arbitration agreements requiring employees to waive their right to sue collectively. Four former IBM employees have sued IBM, and they have hired a class-action law firm famous for winning big cases. IBM says it isn’t worried about the lawsuit. “The plaintiff’s theories have been rejected by courts, including the U.S. Supreme Court. We are confident that our arbitration clauses are legal and appropriate,” an IBM spokesperson tells Business Insider. The fact that IBM has been laying off thousands of workers for years without disclosing the size of its layoffs, while hiring thousands of others, has been well documented. And allegations that many of the people getting pink slips have been its older workers have also been the source of multiple investigations. Bloomberg wrote about it in 2014, after IBM changed how it discloses layoff information. There are laws requiring companies to share age information about the people it is letting go but IBM stopped doing that in 2014 and instead offers its workers the option of filing individual lawsuits, should they feel they have a case when taking a severance package. By signing an arbitration agreement, each employee that believes he or she was discriminated against on the basis of age would then have to front the costs of suing IBM for the legal discovery and statistical analysis of its layoffs. Business Insider wrote about the situation in 2015 and in 2016, when laid off employees told Business Insider that IBM had reduced severance pay for long-time workers to a month max. And Pro Publica delved into allegations of age discrimination during layoffs last year. One lawyer representing the former employees, Joe Sellers from law firm Cohen Milstein Sellers & Toll, tells Business Insider that IBM’s statement is a bit of red herring. Cohen Milstein Sellers & Toll is a well-known class-action law firm that’s won hundreds of millions of dollars against the likes of Apple, Caterpillar, Citigroup, Mercedes Benz, BP, Bristol-Myers Squibb and many others. Sellers says that this lawsuit is not attempting to get the court to rule out arbitration agreements. He says his clients are honouring the agreement and have also filed suits with arbitrators. This lawsuit isn’t challenging the arbitration agreements per se. It’s challenging the part where employees waived their rights to sue collectively, arguing that IBM did not first give them the information about the ages of the people being laid off, as, he says, is required by law. “The only issue presented to the court is whether or not to enforce the waiver [to sue collectively],” he said. And that means this lawsuit is different from the one filed by IBM employees last fall. That age discrimination lawsuit was filed by people who didn’t sign a waiver that prevented them from suing collectively in exchange for severance, he said. Sellers says his clients are those that did sign those waivers. He’s trying to represent an estimated 20,000 people who also did. He believes that his case will allow these IBM workers to sue the company in court and not be liable for having to return their severance checks. “Our position is that the waivers that people signed – some people only got a month’s payment, others got more than a month’s payment – are unenforceable. So individuals can keep whatever they got paid and join this lawsuit,” he says. Ultimately, between the suit filed in arbitration and the one filed in court, this lawsuit seeks damages for what its plaintiffs say were age-discrimination practices.